A highly skilled workforce with strong work values and ethics. Several organizations already have found a desirable environment to conduct their operations and achieve their business objectives here in the Town of Lysander. We also invite you to learn more about “Start-Up New York,” a progressive business initiative developed by New York Governor Andrew Cuomo to make New York State a competitive business environment once again. Whether your company is looking to re-locate or expand operations, we encourage you to consider visiting the Start-Up NY website and explore the possibilities with this unique program, and consider Lysander as your ideal location. 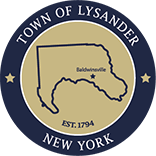 For more information about starting or moving your organization to Lysander, please contact the Town Supervisor.